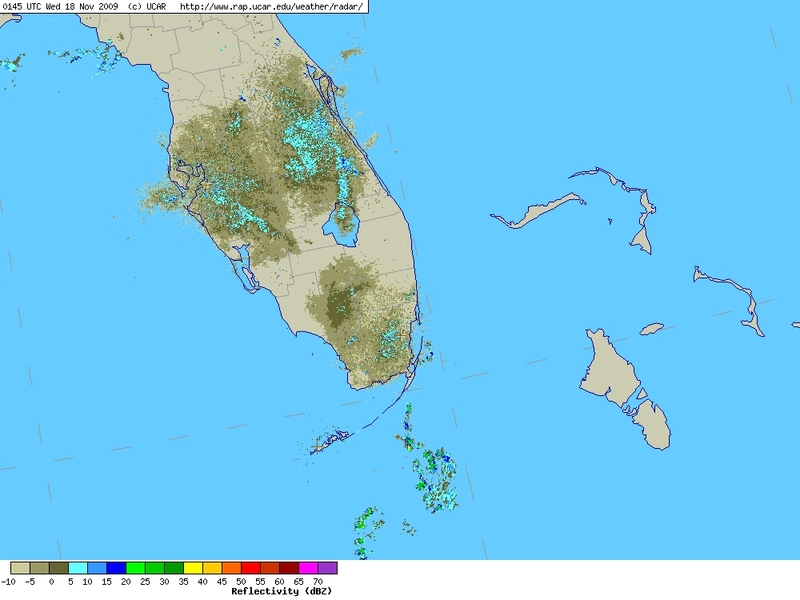 A quick look at the radar revealed migrants on the way south via the east coast and especially the west coast of Florida. With this type of returns on the radar we expect some new birds around tomorrow morning in Miami-Dade. Returns that are showing up on the radar show light density but it may pick up later into the night. Ducks, Loons, Rails, Sparrows, Kinglets, Kingbirds, Warblers etc… could be on the way. A cold front coupled with a weak surface high pressure system seems to be kick starting the southern movement. A northwest wind is in place over the gulf side and a slight east wind over the Atlantic side of the state should mean that birding will be best at inland sites. Lucky Hammock/Annex, C-111E, ENP and the surrounding areas may be the best spots to bird tomorrow. All factors are in place for an influx of migrants tonight as the front approaches Central FL. If anyone is birding in Miami tomorrow we would love to hear about what is seen, pass by Badbirdz2 to see an animation of tonight’s migration and please share your sightings. We could be wrong but that is all part of learning and taking a chance in predicting an influx of birds.